How To Guide on Vehicle Wraps: Not a DIY Project! If you do a Google search on how to wrap your own vehicle with vinyl graphics, you’ll find quite a few DIY videos and tutorials with mediocre instructions, tools and results. The simple fact is that vehicle wraps are not a DIY project. They can often end up looking like a large faded bumper sticker or blistered paint… a waste of your time and money. But for anyone still wondering about how detailed a process vehicle wrapping is, we’ve laid it out for you. How long do you plan on keeping this vehicle? Vehicle wraps can look good for many years, so having a plan to keep your vehicle for several years should be kept in mind. Is the vehicle in good condition? Hopefully the mechanical and physical condition of the vehicle has tens of thousands of miles to go. Does the vehicle color match the brand you are trying to promote? Is your car blue, but your company’s brand is red, black and white? A good wash will help our specialist with the installation. If you have bugs, rail dust or other debris (excluding rust), we’ll be able to remove it with special chemicals, so your wrap comes out with a smooth finish. Logo and design – Hopefully you already have a logo that you plan on keeping for a while for your business. If not, reach out to us and we’ll work with you to create the perfect design. Look for inspiration – What information do you want your wrap? You can find several examples on our vehicle wrap portfolio page. Our pros go by the Rule of 3’s – meaning your wrap will be most viewed on average for 3 seconds from about 30 feet away. What do you want them to see in that timeframe? Adobe Illustrator or similar vector program. Photoshop may work with higher resolutions, but a vector program will be quicker, easier and more accurate. The template for your make and model for your vehicle. The HS Sign Shop has access to virtually every make and model of every vehicle made. Selected vinyl material. 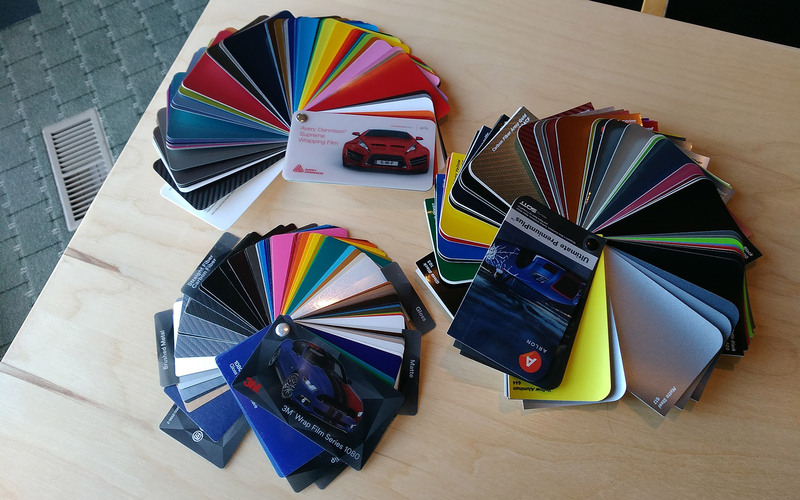 There are hundreds of colors and textures of wrap vinyl to choose from. There’s metal fleck, high gloss, low gloss, matte and even carbon fiber, metallics and chrome to choose from! Not to mention ink-jet printable vinyls…which require laminates to protect and help insure the wrap will stand the test of time and weather. Swatches with different colors and textures. So you have your files looking good and ready for the printer! Your next step is to find a large format printer capable of printing 3M vinyl – the best in the industry! 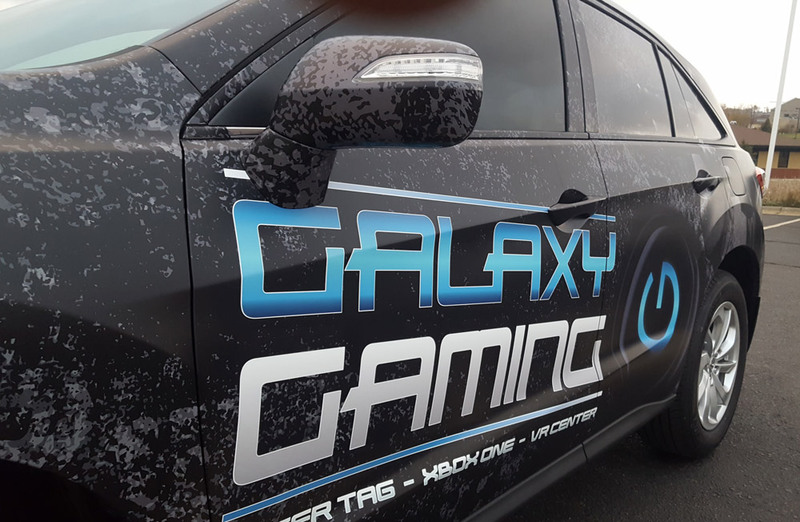 Really there is no substitution when it comes to vinyl suitable for vehicle wraps. Keep in mind the temperatures, precipitation, road conditions and any other extremities your wrap will face. Cheap vinyl will not hold up to these extremities and only last months opposed to years with 3M vinyl. How much is a vinyl printer? Vinyl printers start at a few thousand dollars and go up into the tens of thousands of dollars. Once you purchase the printer, you will need a place to store it. The printer and laminator will generally need a minimum of 250 square feet of floor space and should be in a temperature-controlled environment. 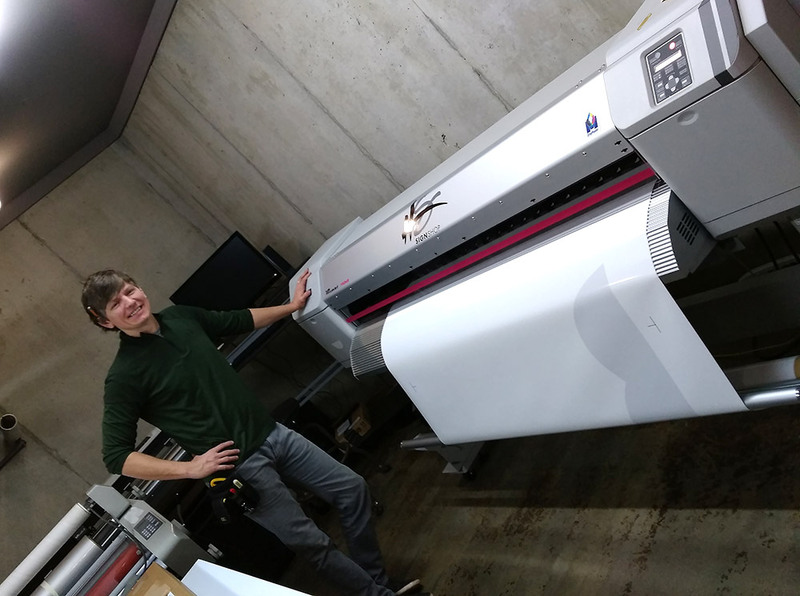 Eric Van Beek standing next to HS Sign Shop’s large format printer. Vehicle wrap vinyl must be laminated. 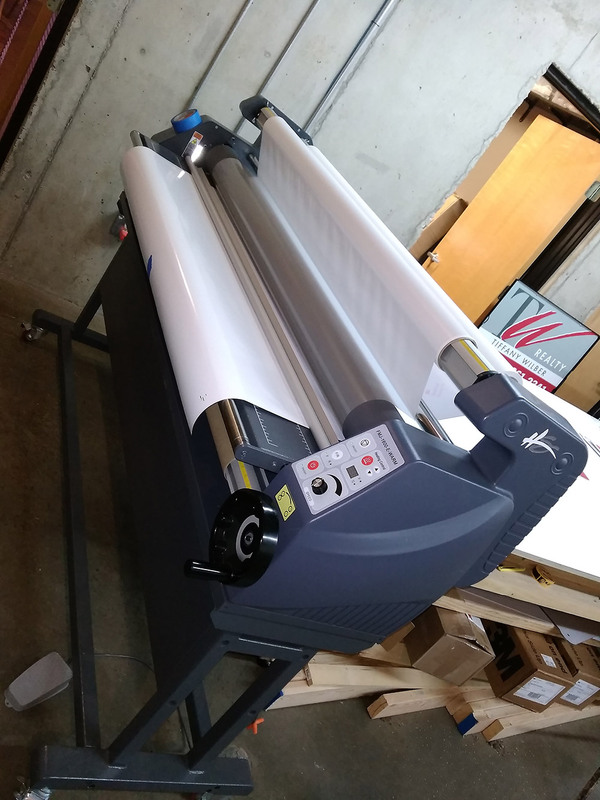 In addition to the large format printer, you’ll also need a laminator. Without lamination, your vehicle wrap won’t last longer than a few months – even less based on weather and driving conditions. A good laminator will start at about $10,000 and go up from there. You’ll need ample amount of space for this too. Time for installation – finally! Make sure you are in a temperature-controlled environment between 60 and 80 degrees Fahrenheit. Go slow and leave no room for error. The slightest imperfection will be glaringly obvious. At the end of the installation use a heat gun and go over every square inch of the wrap at 180 degrees Fahrenheit to ensure proper and long-lasting adhesion. The process for vehicle wrapping may sound tedious, overwhelming and too time-consuming for most people. Not to mention the large investment in the software and equipment that has to be purchased, maintained and stored. Our experts at HS Sign Shop invite you to reach out to them to help take the hassle out of the not so easy do-it-yourself vehicle wrap. We have the equipment, experience and passion to get your wrap done on time, on budget and on your vehicle the right way! A full-service creative think tank, HenkinSchultz develops ideas that transform brands, have the power to grow businesses and tap into the emotion of entire communities.